Bheir Rùnaire na h-Alba, Dàibhidh Mundell, aithris do Thaigh nan Cumantan feasgar air an aonta ionmhas ùr do dh'Alba. Chuir Riaghaltas na h-Alba agus Riaghaltas na Rìoghachd Aonaichte mìosan seachad a' deasbad na ceist, mus tàinig iad gu aonta an-dè. Ach tha Rùnaire an Ionmhais, Iain Swinney, a' cur teagamh ann am beachd Mhgr Mhundell gum faodadh Pàrlamaid na h-Alba cuid de na cumhachdan ùra sin fhaighinn goirid an dèidh an taghaidh anns a' Chèitean. Chuir Rùnaire a' Cheartais, Mìchael Gove, teagamh ann am beachd a' Phrìomhaire, gu bheil dìon as an lagh air an aonta ùr air ballrachd Bhreatainn anns an Aonadh Eòrpach. Thuirt Mgr Gove gum faodadh Cùirt Cheartais na h-Eorpa cur às dhan aonta ùr sin, mus tèid fiù 's a stèidheachadh ann am bun-reachd an EU. Thuirt Sràid Downing an-diugh gu bheil lagh eadar-nàiseanta a' cur dion air an aonta. Tha coltas àimhreit phoilitgeach eadar buidheann an SNP agus a' bhuidheann-riaghlaidh neo-eisimeileach aig Comhairle na Gàidhealtachd agus iad a' coinneachadh a-màireach a chur buidseat air dòigh. Cuiridh na dùbhlanaich - an SNP - an aghaidh cuid dhe na gearraidhean as miosa, nam beachd-san. Ach tha na neo-eisimeilich, a tha a' riaghladh na Comhairle, ag ràdh gur e Riaghaltas SNP na h-Alba as coireach ris na gearraidhean a dh'fheumas iad a dhèanamh. 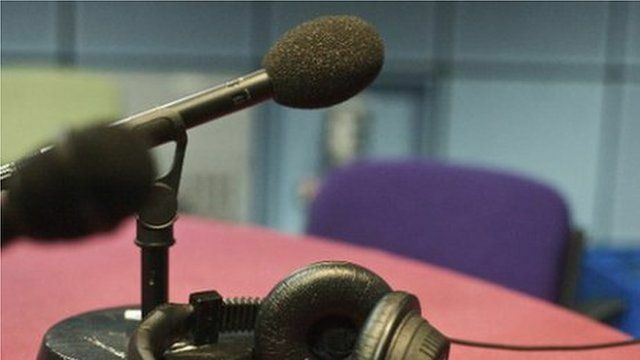 Agus a rèir an fhiosrachaidh a tha aig Radio nan Gàidheal, tha coltas ann gum bi cuid dhe na comhairlichean neo-eisimealach a' togail fianais phoblach an aghaidh Riaghaltas na h-Alba ron choinneamh a-màireach. Thuirt buidheann iomairt anns an Eilean Sgitheanach, NHS SOS, gur e adhbhar misneachd a th' ann dhaibh gu bheil Comataidh nan Ath-Chuingean ann am Pàrlamaid na h-Alba ag èisdeachd riutha. An dèidh sùil a thoirt air ath-chuinge an-dè, ris an do chuir còig mìle duine an ainm, dh'aontaich a' chomataidh gum feum tuilleadh sgrudaidh a dhèanamh air plana NHS na Gàidhealtachd airson ospadal ùr anns an Ath-Leathann le lùghdachadh air seirbheisean aig Ospadal Phort Rìgh, oir gu bheil gu bheil cus cheistean gun fhreagairt ann. Thuirt NHS na Gàidhealtachd gu bheil iad den bheachd gun do rinn iad co-chomhairle phoblach a bha cothromach agus gun do rinn iad an co-dhùnadh as fheàrr don Eilean Sgitheanach, Loch Aillse agus taobh siar dheas Rois. Tha luchd-smalaidh agus sgioba chon fhathast a' coimhead airson triùir air nach eil sgeul an dèidh do phàirt de sheann stèisean cumhachd Didcot ann an Oxfordshire tuiteam an-dè. Chaidh aon duine a mharbhadh agus tha còignear anns an ospadal. Shoirbhich le Dòmhnall Trump airson an treas turas ann an sreath is e a' farpais airson àite a ghlèidheadh mar thagraiche dha na Poblachdaich ann an taghadh a' chinn-suidhe anns na Stàitean Aonaichte. Tha a' chiad chunntas ag ràdh gun do gabh e còrr is 40% den bhòt ann an Nevada, a' fàgail Ted Cruz agus Marco Rubio a' farpais airson an dàrna àite.